Editor’s Note: In the following months, LUA will be mirroring a series of articles regarding security culture, a category on The Freedom Umbrella of Direct Action. This is the first of the articles. 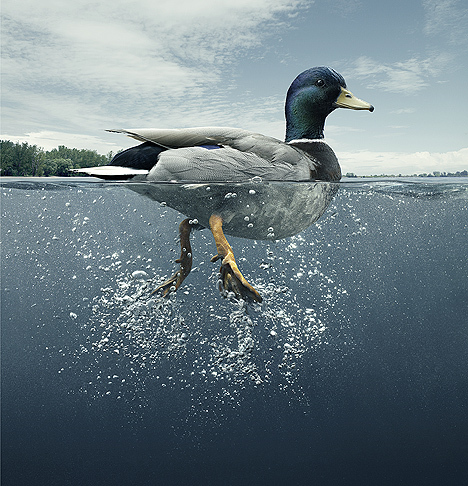 This imagery of what could arguably be the “grey duck” is quite a useful analogy in teaching others about this unique practice. Pat Henry has written that he thought the grey man was originally developed as a conceptual tool for concealed carry practitioners, despite the fact that getting a license, or permit, for carrying concealed actually violates information security (INFOSEC) because such government lists also operate as a de facto registry of these gun owners, but I digress; the result has been the development of a method for practicing an evasive skill set. Obviously, each one deserves its own cursory examination; the briefest yet comprehensive overview I can provide of these elements is that, how other humans perceive you greatly depends upon your ability to become nothing more than a stereotype. In this sense, the grey man runs counter to any notion of individuality; however, the goal of the grey man is not to make friends or seek personal authenticity, but rather, to lower the existential risk of being targeted by the State and other assorted criminals. Adversaries who perceive you as a soft target, due chiefly to your appearance, suggests you committed a mistake somewhere. 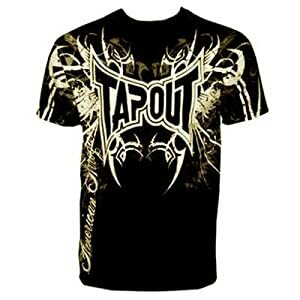 Wearing clothing with logos is, generally speaking, a “no-no;” for example, decorative T-shirts worn by sheepdogs and Three Percenters (such as the infamous “Tapout” shirts), serve as little more than target identifiers. Tattoos are much like the bumper stickers on your car in that the temptation of vanity directly interferes with “going grey.” Suffice it to say, neglecting the tips presented by John Sample with regards to making fashion choices is to invite failure to blend into the cultural environment. Distinguishing the line between appearance and behavior is not as sharp and defined as you would initially assume. 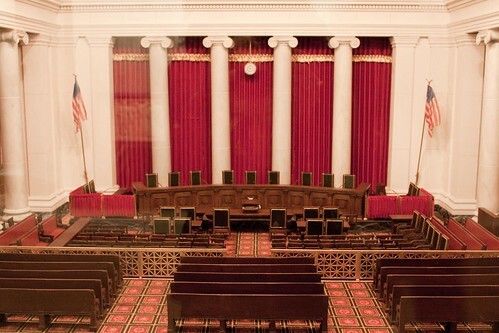 Back in 1995, James Bovard was evicted from the press section of the United States Supreme Court’s courtroom during oral arguments for the Bennis v. Michigan [516 U.S. 442] civil asset forfeiture case, simply because he laughed too loudly, although the “official” reason was that he was inadvertently violating the dress code. Whether it be due to appearance or behavior (or both), Bovard’s experience is invaluable for demonstrating that when you go visit the government, discretion really is the better part of valor. Undoubtedly, behavior is more significant to being a grey man than appearance. Quick movements naturally draws the attention of the eye, so even if you feel indescribable pressure to walk quicker, try hard not to; this may sound rather counter-intuitive, but if you truly want to be the grey man, then slower is better. Political fieldtrips are excellent opportunities to practice going grey, as are other public locales such as gyms and shopping malls. Dense congregations are the ideal training environment, given the sheer complexity of all the variables at play. For some people, it may be best to begin objectively evaluating their behavior by recording themselves on camera at home, and then later watching the footage for clues as to what their body language might be, perhaps inadvertently, communicating to others, especially through their facial expressions. Knowing that you are being indiscriminately surveillanced in public by officers and cameras, the challenge of the grey man is to maintain a rather drab persona all the while resisting the enticement to alter his behavior under pressure. Avoid establishing patterns – sometimes, it is best to just wait patiently rather than go somewhere right away, especially if doing so would get you noticed (or worse, if it’s a trap); don’t be afraid to choose different routes while traveling, and also consider the frequency of appearing in certain locations or within the eyesight of particular individuals. Swiveling one’s head in order to look around might as well be the human equivalent to when a whitetail deer flips his tail up, for the latter serves as an instinctive warning to other nearby deer; instead, practice moving only your eyes when keeping tabs on fluid social dynamics. Just as important to your behavior as movement, is what comes out of your mouth.Keeping your own counsel might as well be a given as this point, yet its importance for going grey cannot be overemphasized. Low-profile techniques include the use of small talk, especially for making non-committal statements during casually polite questioning. The Italian idea of a “nonchalant expertise” is a good notion to aim for, since there is absolutely nothing illegal about acting as bland and dull a person as possible. Situational awareness is nothing more intriguing than humble mindfulness. Being presently in the moment is an essential attribute of the grey man, for it is this, more than anything else, that truly distinguishes him from the distracted mainline public. Focused concentration is indispensable for going grey, since you have to balance your body language (like your walking cadence and frequency of eye contact) with noticing passing details. Not only has Kim’s Game been used to improve one’s memory, but it also reinforces the fact that lackadaisical observation increases the sheer amount of missed clues present within the environment. It has been broached within “prepping” circles that being a grey man can become useful during emergencies, such as SHTF scenarios, but I think these credit card preppers greatly underestimate the value of acting like a grey man in the here and now. Sure, the value of subtly could make the difference between getting hurt or killed, yet, I would argue that the grey man’s best utility is before there are infrastructure breakdowns, and this is further supported by the phases mentioned in The Grey Man Directive. There is no good reason why non-survivalists cannot also practice being grey men, since going grey is more of a class of privacy techniques rather than something limited to mere survival methodology. Having said that, everyday carry (EDC) is very much part of the grey man’s repertoire, for it is comprised of his physical tool kit that he subtly keeps on his own person. Generally speaking, your EDC is going to be composed of what could be thought of as “first line gear,” in order to distinguish it from, say, your fighting load or bug out bag (BOB). Much survivalist media over the years has explored the question of what should or ought to be carried, whether it be for EDC, a BOB, or anything else. As you can no doubt tell, virtually all of this equipment can be carried on your person without the need for a bag or purse (although to be fair, some EDC practitioners use fanny packs). To elucidate a bit further, sun protection would be something like a hat or sunglasses, fire-starters would include matches or a lighter, and pieces of cloth would be either a bandanna or a handkerchief. Of course, your choice of fashion might limit or expand your ability to carry, so keep that in mind, especially when choosing whether to wear pants and/or a jacket. Grey man, as an idea, has become confused with dissimilar approaches as of late. The vonu strategy is an anti-political lifestyle of voluntary social exclusion, where it is believed that the best way to avoid being coerced is to remove yourself from all influences of coercion; “to vonu” means to disappear, presumably, by going off-grid. “Ghosting” is the act of suddenly ending a romance with absolutely no warning or a decent opportunity for closure (such as by breaking up). Paper-tripping is the practice of constructing and using alternate identification; the phrase “to go on a paper-trip” refers specifically to building such a new ID from scratch. Needless to say, paper-tripping, ghosting, and the vonu strategy are not the same thing as going grey, since being a grey man, much like the rest of security culture, can be easily integrated into your current lifestyle. If most “activists” decided to go grey, they wouldn’t be activists anymore, quite frankly. Being the grey man requires a dedication to truly valuing the right to privacy. All things being equal, content producers within the alternative media (like bloggers, podcasters, and videographers) usually have a sliding scale of growing public exposure the closer their medium approaches television, yet, what determines whether or not they can actually practice being a grey man is their dedication to individual privacy. Although it is true that those in front of a camera are less likely to be successful grey men than those behind a keyboard, this should not serve as a source for discouragement, because with the right demeanor, just about anyone can disappear into a faceless crowd of stereotypes. Thanks for the great article on grey man lifestyle. Odd that you linked to my website in the same sentence as credit card preppers. That’s I new term to me. I always toss credit card applications in the rocket stove. Debt is slavery to the man. Thank you for the feedback. I’m mirroring this article from The Last Bastille, as part of our series on security culture. I will definitely pass along your comment to the author, Kyle Rearden. I’m a grey and have been for years. I don’t get into confrontations I don’t make waves. I can walk through a bank lobby and everyone would have a different description of me if anyone noticed me at all. That means tattoos, jewelry, no graphic hats or t-shirts, no tac clothing. A boring car in wide use. No load music should be emanating the vehicle, it should be kept in good repair. No engine noises or identifiable body damage or bumper stickers. Less is more. The life of a grey is quite boring & is not possible for everyone. It’s not for type “A’s”. It works best for unremarkable people. White male, medium build, medium height, dark hair. Pretty generic. Describes 25% of the male population. Thank you for checking out the article and for sharing that information. It’s good to hear from folks that actually “live it”.